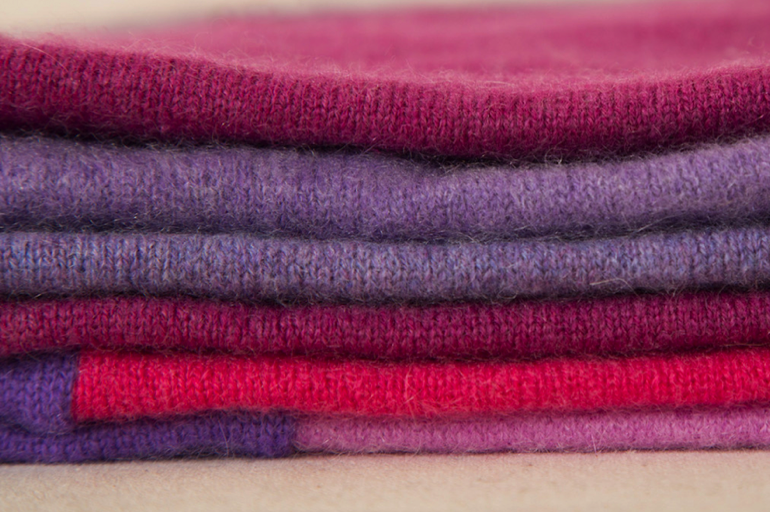 Looking for an eco-friendly way to keep warm? Turtle Doves creates recycled accessories that will keep away the worst of the winter chill. An inspiring company that uses post-consumer textile waste to produce beautiful new garments is thriving in the heart of Shropshire. Turtle Doves takes discarded cashmere and other fabrics and transforms them into gorgeous gloves, scarves, bags and household items. The company buys up woolens from charity shops, and has spent over 10,000 pounds on garments that could not be resold because of holes, tears or marks. Fabrics are also purchased from textile waste merchants (who in turn buy their waste textiles from charity shops), benefitting both the planet – as this avoids the materials going to landfill – and the charitable sector. 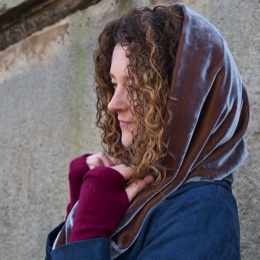 Kate Holbrook started Turtle Doves in 2009, after designing some unique fingerless gloves. After making a few pairs for friends – and receiving extremely positive feedback – she made a batch for a school fair. They were a huge success, and from that moment the company has gone from strength to strength. The idea for the name “Turtle Doves” came from Kate's husband Graham. It's Cockney rhyming-slang for gloves – but also perfectly reflects the soft and gentle nature of the company's products and ethos. As well as recycling and re-using material, the careful use of resources during production is also paramount. 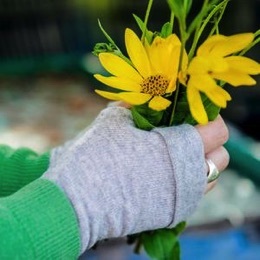 Following the success of the fingerless gloves, Kate, along with a growing team of helpers – the company currently employs more than 20 people –began to develop new products. 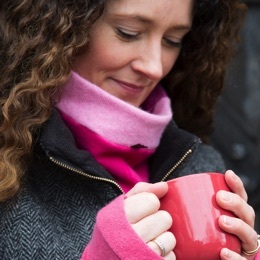 Cashmere neck warmers, snoods and scarves proved just as popular as the fingerless gloves and wrist warmers. More recently, recycled silk saris have been introduced. These are transformed into pretty, colourful bags, lined with fabric that didn't quite meet the stringent technical standard required for making parachutes. This lining results in a strong, attractive bag that should last for years. Velvet is another recent addition, with a brand new collection featuring vintage silk velvet “Hugs” – large, luxurious infinity scarves that can be worn as a wrap, snood or hood – in bright colours as well as black, grey or gold. The company has also branched out into homewares, with soft cashmere throws, comfortable cushions and snuggly hot water bottle covers part of the growing range. A proud moment for the company in 2014 saw Friends of the Earth and Amnesty International featuring bespoke Turtle Doves recycled cashmere ranges in their gift catalogues. The company also supplies snoods and fingerless gloves to English Heritage. And in 2015 Turtle Doves was awarded Gold in the Green Apple Awards at the Houses of Parliament – in recognition of sustainable practices in wholesale and retail. Turtle Doves' success demonstrates that sustainable and ethical practices – such as recycling, careful use of resources, fair working conditions and support for charities – can be effectively incorporated into a business and enhance, not hinder, progress. “At Turtle Doves we believe in using the resources we have wisely, caring for the people around us and enjoying what we do,” says Kate.